Renewing your passport? Take a look on your birthplace if it is complete. 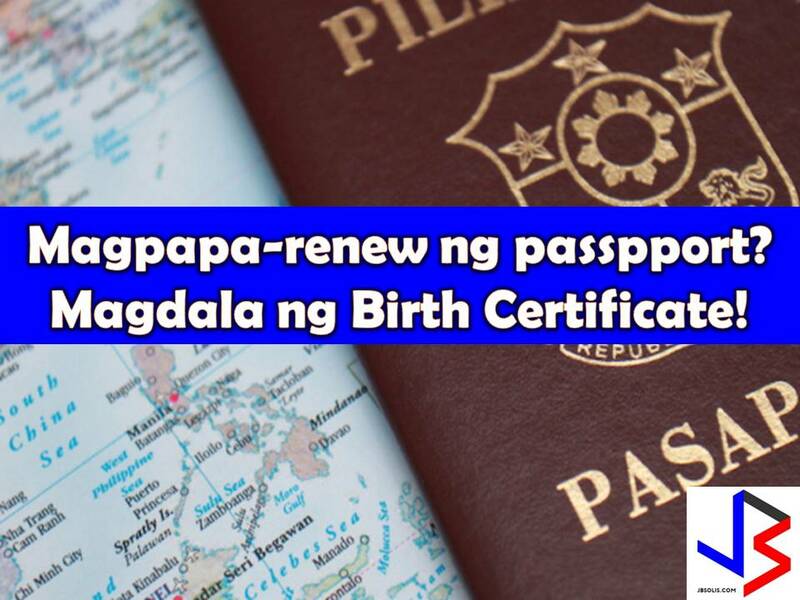 Starting this August 2017, e-passport requires the exact birth place in passports and to validate this issue, applicants for passport renewal must bring their authenticated birth certificate. So to avoid delay for renewal, don't forget to bring your Birth Certificate from National Statistics Office. This is a reminder of Philippine missions to all Filipinos especially Overseas Filipino Workers (OFW) abroad who are renewing their passport in the mission, consulates or embassy. 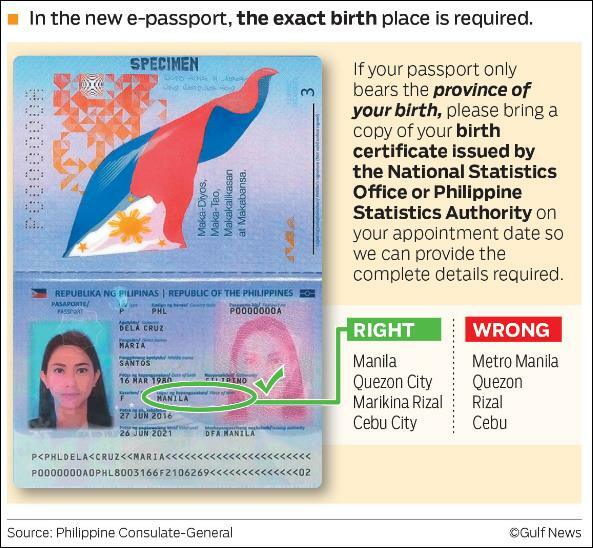 However, this new requirement only applies to Filipinos whose passport indicates only the "province of the birth. In Gulf News Article, Vice Consul Elizabeth Picar Ramos said this is a part of a new advanced system that required for the place of birth to be keyed in, specifically the city or municipality of birth. 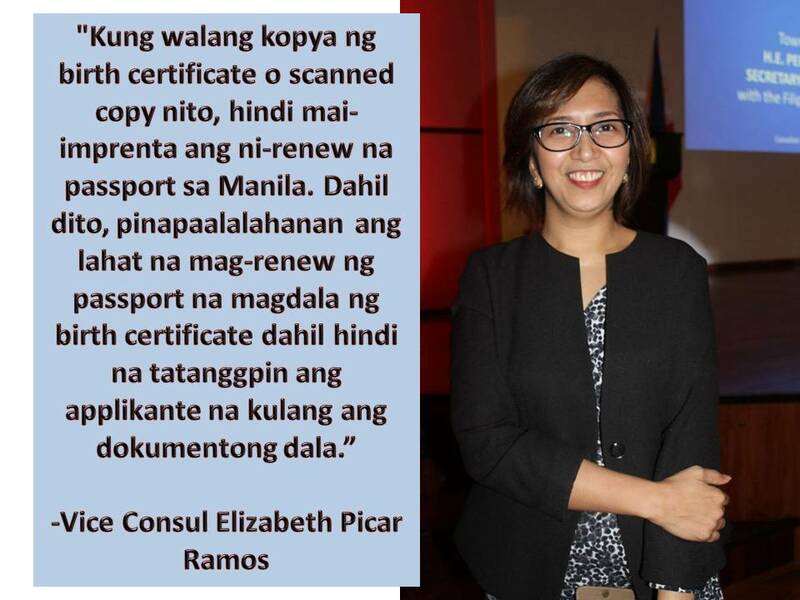 She explained that passport indicating provinces only will not be processed without a birth certificate. 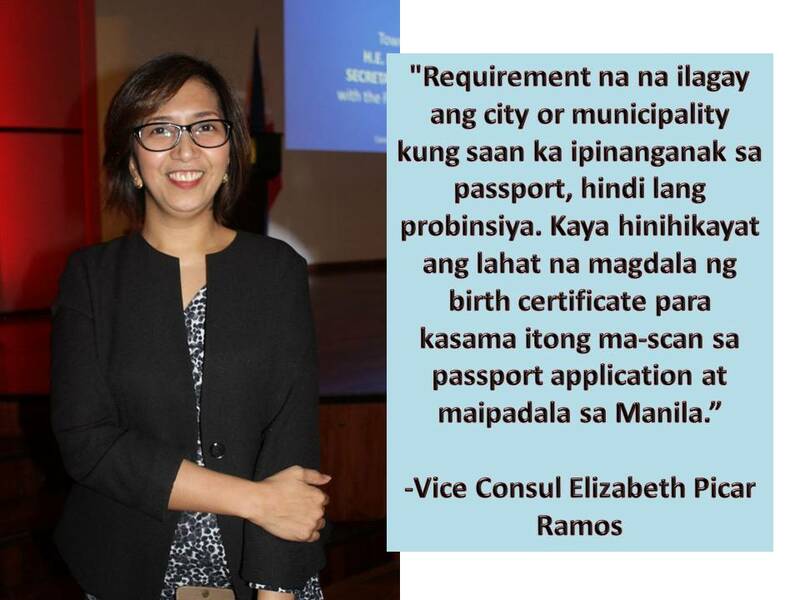 Ramos cited an example that if an applicant's birth place in the passport is "Cebu", the system will not accept the application. It has to be the city or municipality in the province of Cebu mentioned in his birth certificate.